Days after a judge confirmed Shell Oil will stand trial here May 26 on charges it was complicit in the murders of Ken Saro-Wiwa and eight other Nigerian activists, environmental and human rights groups announced they have formed a global campaign to hold Shell accountable and demand that it stop gas flaring in Nigeria. 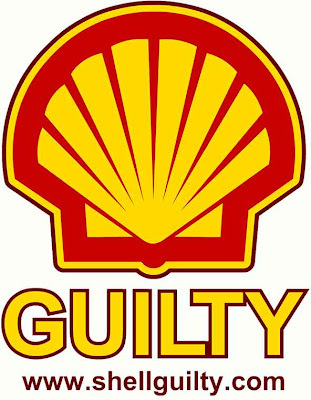 The campaign, headquartered at www.ShellGuilty.com, is being coordinated by Oil Change International, Friends of the Earth, and PLATFORM/Remember Saro-Wiwa. In addition to the website, the campaign will include grassroots advocacy, TV and online ads, and calls for Shell to come clean about its corporate irresponsibility, human rights abuses, and record of environmental devastation. The campaigners are demanding that Shell stop gas flaring.